Sorry, your browser does not support this video so it will not be played. Simple to deploy, our printing solutions help you easily manage your printing environment and users with ease. 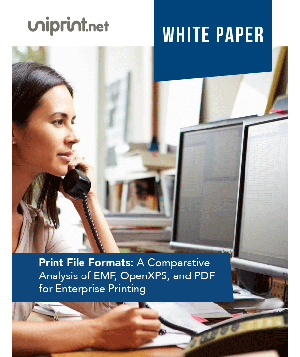 UniPrint offers a full stack enterprise print solution for anywhere, anytime, any device printing. 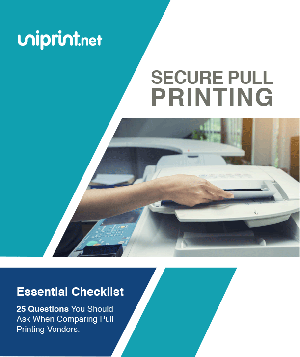 UniPrint’s secure pull printing and printer profile features ensures only the required print jobs are released with a set custom profile like duplexing. 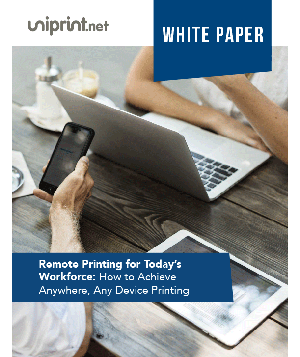 With solutions for all computing environments, thin-client, thick-client and mobile device users can print anytime, anywhere. UniPrint Infinity can be remotely deployed, tracked and centrally managed through one console eliminating costly travel time to fix print related issues. 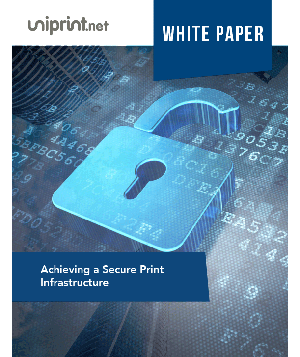 Combining end to end 256-bit encryption with secure pull printing significantly reduces document security breaches and enhances compliance. 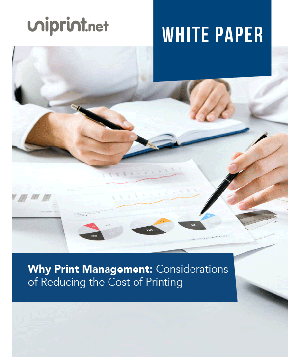 UniPrint Infinity simplifies printer management and increases workflow. UniPrint vPads enable on-demand secure pull printing & low maintenance remote printing. 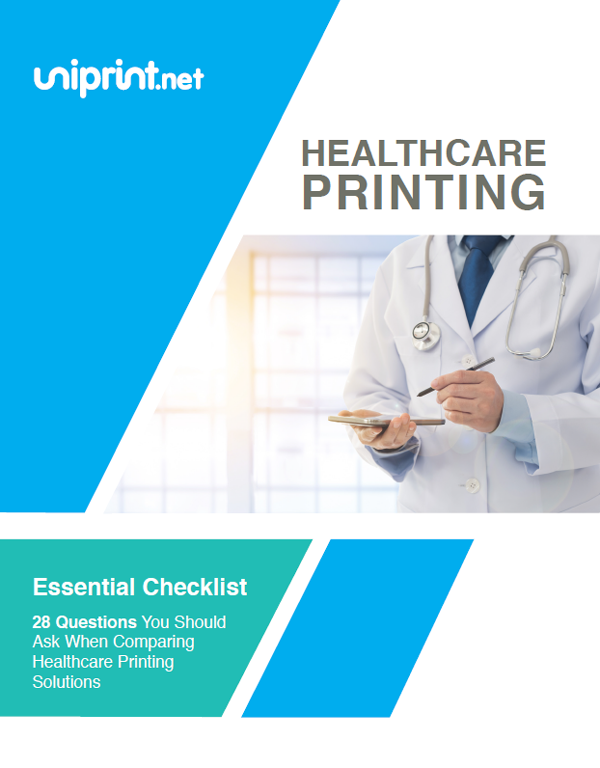 UniPrint Infinity’s™ Healthcare Printing Suite (HPS) enables speedy, error-free, and on demand secure printing from major EHR/EMR applications with 100% uptime in Citrix, Microsoft and VMware View environments. 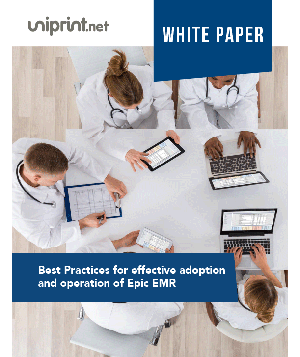 Deploying the UniPrint Infinity HPS, hospitals and health organizations benefit from optimized clinical workflows, reduced printing costs, and improved quality of patient care while eliminating data breaches when printing. 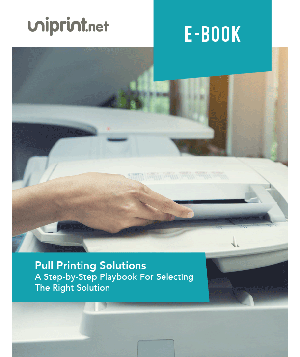 UniPrint Infinity simplifies printer management, enables secure pull printing on any user or print device, and eliminates print wastes, thereby increasing productivity and reducing print costs which are paramount to policy makers. 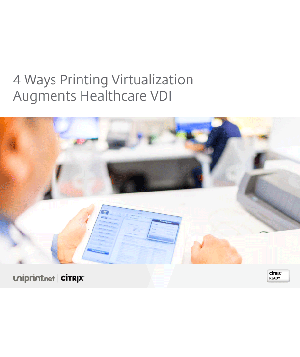 UniPrint Infinity is certified by Citrix, Microsoft, VMware to be fully compatible with their VDI or server-centric technologies. UniPrint Infinity's patented PDF-based Universal Printer Driver platform and one Virtual Print Queue technology empower you to deliver your printing and document distribution needs with speed, accuracy, security, and value in any server-centric environment. From simple compliance documents to complex global transactions, financial and insurance companies count on UniPrint Infinity to manage their critical communications. 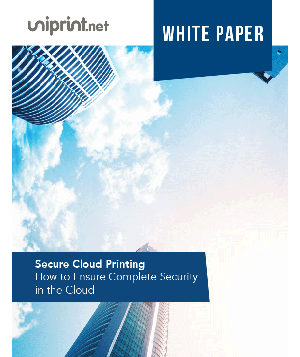 UniPrint Infinity is an agnostic solution that provides worry-free, secure mobile cloud printing from any user device, to any printer, across any platform, on any network. 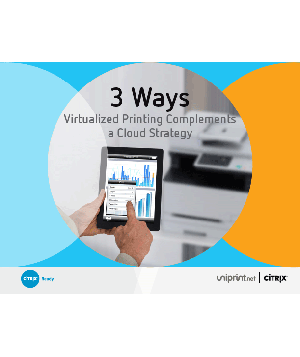 Its flexibility, ease-of-use and management, and quick deployment make UniPrint Infinity the printing solution of choice for cloud hosting and SaaS providers. 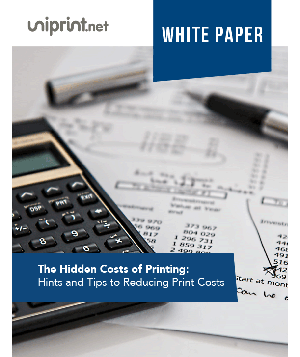 Learn how UniPrint Infinity helps increase workflow, reduce costs, improves security and more. Go through our UniPrint Infinity certification program, learn about the basics and then master them. Keep up-to-date with our latest tradeshows activities and upcoming live webinars. Learn, share and engage with us on advice, strategy and tips covering various print related topics. 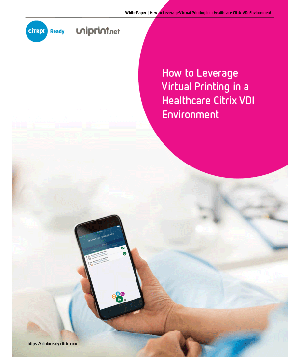 "UniPrint is a must-have add on for its support, features, performance and reliability in a Citrix Environment." 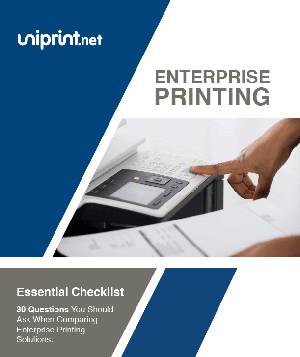 "UniPrint saves both Netgain and the client time and expense. The printer just works." 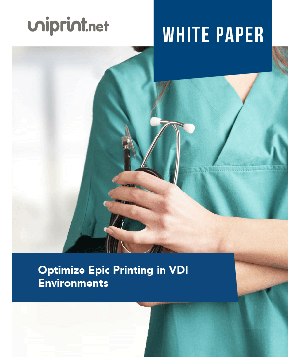 “ UniPrint’s solution immediately took care of 90% of our printing issues. " 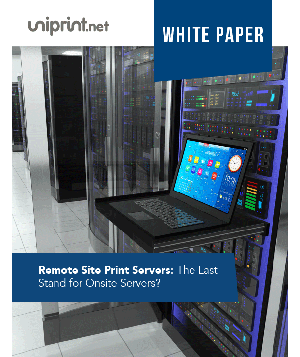 “ UniPrint makes it easier for us to keep our servers running and our clients happy." Simple to deploy, UniPrint Infinity helps you easily manage your IT environment and users with ease.